Cook County Board President Toni Preckwinkle and State’s Attorney Kim Foxx announced the County has filed a lawsuit against the nation’s leading pharmaceutical companies over their manufacture and aggressive marketing of prescription opioid painkillers and the resulting climb in overdose and fatality rates ravaging families and communities throughout Cook County. The complaint filed Wednesday morning in the Circuit Court of Cook County seeks relief including compensatory and punitive damages for the millions of dollars in costs incurred annually as a result of the unlawful marketing practices of defendants which led to the opioid crisis facing Cook County residents. These costs include the rapidly increasing number of overdose patients being treated by Cook County Health and Hospitals System (CCHHS), opioid treatment and prevention programs operated by CCHHS at the Cook County Jail, and a dramatic increase in autopsies in opioid-related deaths conducted by the Medical Examiner which in 2016 accounted for more deaths than for gunshots and vehicular deaths combined. “Opioid deaths in Cook County are growing at an alarming rate. This is a public health crisis affecting nearly every community in the County for which we must find a solution,” Cook County President Toni Preckwinkle said. 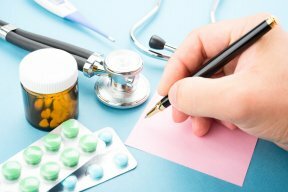 “We believe a good start is to aggressively confront one of the root causes of this national epidemic: the pharmaceutical companies and those paid by the pharmaceutical companies who put profits before public health and safety.” With more than 5.2 million residents, Cook County’s 30 townships and 130 municipalities are grappling with an ever-growing opioid epidemic. 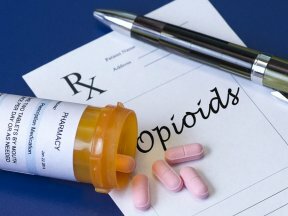 The detrimental effects of opioid addiction can be seen across every socioeconomic group and demographic in the County. “The impact that opioids are having on Cook County cannot be ignored,” said State’s Attorney Kim Foxx. “We see it in every part of the County, and the human cost is truly staggering. We must act in the public interest and hold accountable those who have been complicit in the creation of this epidemic.” Defendants in the Cook County lawsuit include: Purdue Pharma L.P.; Purdue Pharma, Inc.; The Purdue Frederick Company, Inc.; Abbott Laboratories; Abbott Laboratories, Inc.; Teva Pharmaceuticals USA, Inc.; Cephalon, Inc.; Johnson & Johnson; Janssen Pharmaceuticals, Inc.; Ortho-McNeil-Janssen Pharmaceuticals, Inc.; Janssen Pharmaceutica, Inc.; Endo Health Solutions Inc.; and Endo Pharmaceuticals, Inc.